Unveiled at this year’s Consumer Electronics Show Chevrolet is hoping to fulfil its promise offer a long-range, affordable electric vehicle for the masses. 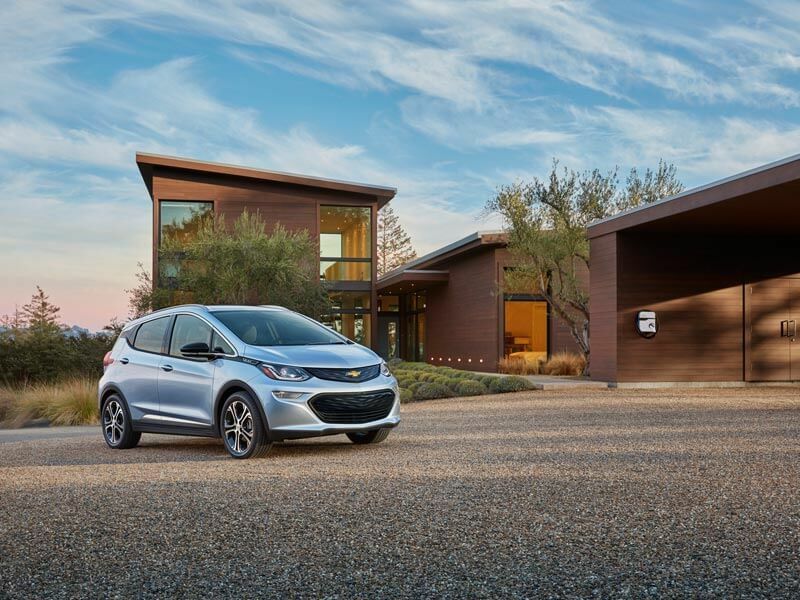 Chevrolet is eager to be able to offer the Bolt EV at a base price of approximately $30 000 which includes a full federal tax credit for EVs. This credit system was put in place by the United States government to aid both the adoption of Electric Vehicles by consumers, as well as the construction and R&D by manufacturers. The base price of $30k would translate into ± R420 000, locally, not taking into account any duties or taxes levied on vehicles imported into South Africa. If Chevrolet South Africa were to bring the Bolt into the country, one would assume that they would have the BMW i3 firmly in their sights, or, at least with the view to significantly undercut the i3 in pricing which starts at R580 400 for the eDrive model and tops out at R653 900 for the eDrive Rex (range extender) model. Of course, Chevrolet is keen to take the fight to Tesla who also hope to introduce the Model 3 with pricing starting around the $30 mark. Interestingly Tesla has hinted that they might market the Model 3 locally – with a full OEM commitment – which would make it the first Tesla model to be sold in South Africa. Powering the Bolt is a single permanent magnetic drive motor capable of 150kW and 360Nm of torque. Those impressive figures come courtesy of a 60kWh Lithium-ion battery pack which will allow for an estimated 380km range, well above the 25.7km national commute average. A typical commute of 80km can be recharged in less than two hours, whilst a full charge is said to take 9 hours from a standard 240V wall socket from the standard 7.2kW on-board charger. Also available is a DC Fast Charging system using the industry standard SAE Combo connector, enabling the battery to be charged up to 144km of range in roughly 30 minutes. Electric motor and battery combine to provide 150kW of power and 360Nm of torque. 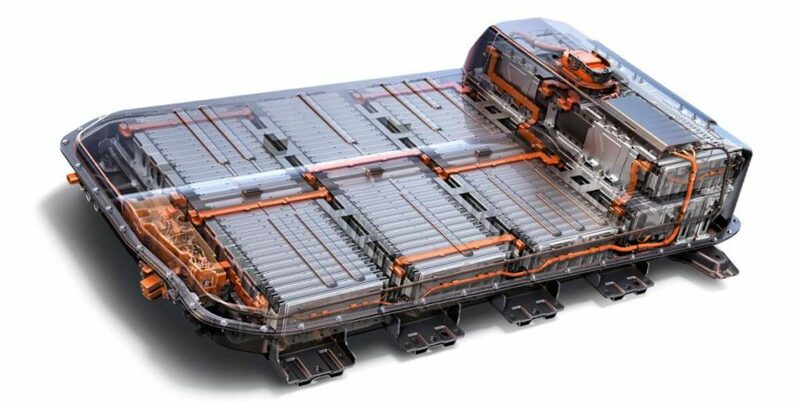 That Lithium-ion battery pack weighs in at 435kg and spans the entire length of the vehicle’s floor, allowing for a low centre of vehicle mass, which is far more stable and dynamically efficient. Curb weight of the Bolt is an impressive 1 625kg, 45kg lighter than the BMW i3. The current generation i3, by comparison, is estimated to have a maximum range of 200km. The Bolt’s 60kWh Lithium-ion battery pack extends the entire length of the car. 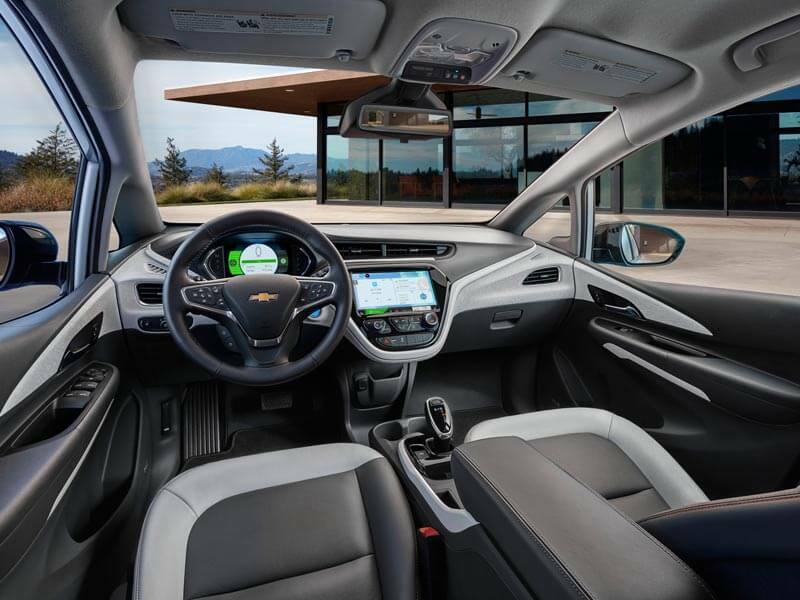 Power delivery is controlled by Chevrolet’s first Electronic Precision Shift system – a shift and park-by-wire system that sends electronic signals to the Bolt EV’s drive. This by-wire shifter requires less packaging space than a traditional mechanical shifter, resulting in more interior space and improved interior layout. 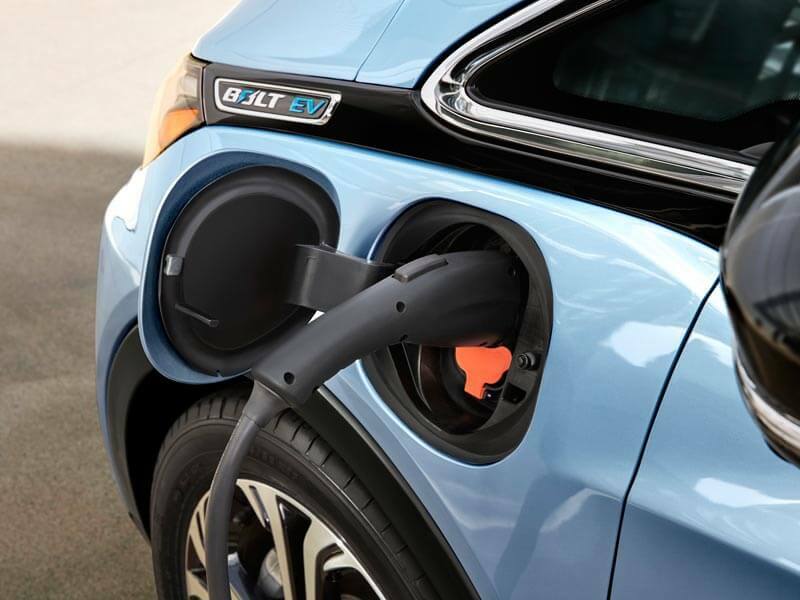 The Bolt EV benefits directly from the suggestions and ideas of Volt owners and features technologies that make owning a long-range electric vehicle easy. Connectivity innovations, for example, will provide smart, personalised solutions for managing the driving experience. In the near future, Chevrolet will be able to provide accurate driving range projections based on the time of day, typography, weather and the owner’s driving habits. Bluetooth low-energy – designed specifically for the Bolt EV to minimise energy draw – seamlessly connects a smart phone to the car while the owner approaches the vehicle. 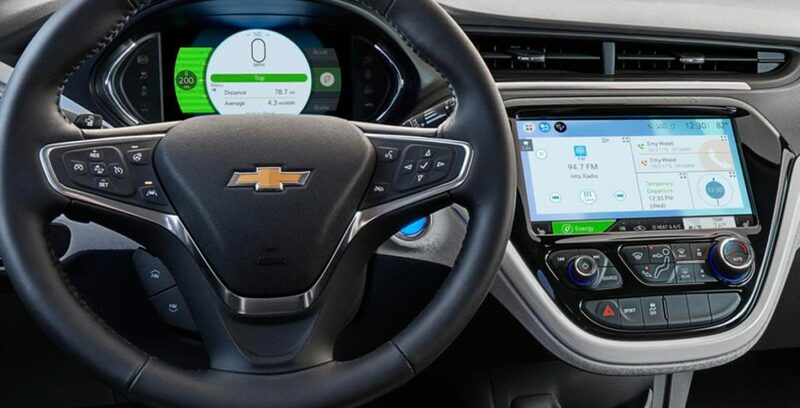 And for added convenience drivers will be able to start the car remotely, and even pre-condition the cars ambient interior temperature when connected via the MyChevrolet mobile app. 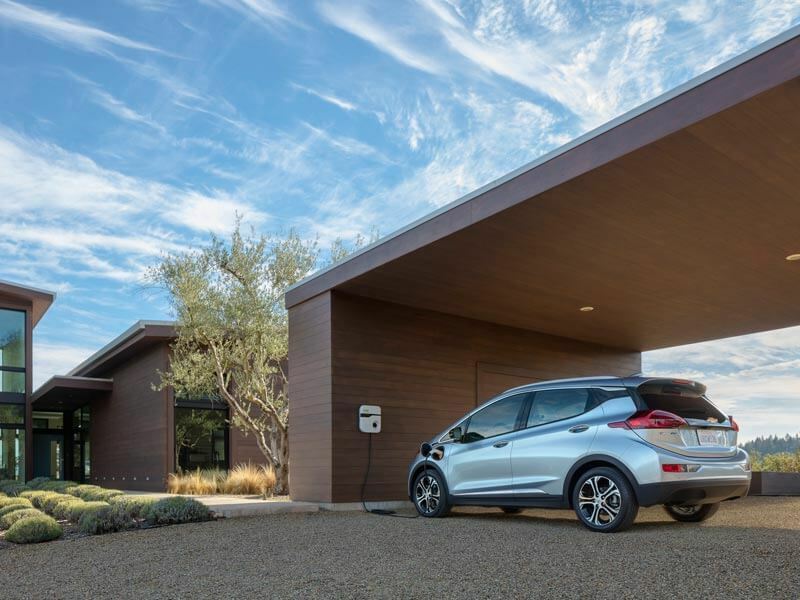 Many of the Bolt EV’s driver-focused technologies are supported by OnStar 4G LTE, which turns the Bolt EV into a Wi-Fi hotspot, giving owners easier access to apps and services via a high-speed wireless connection. 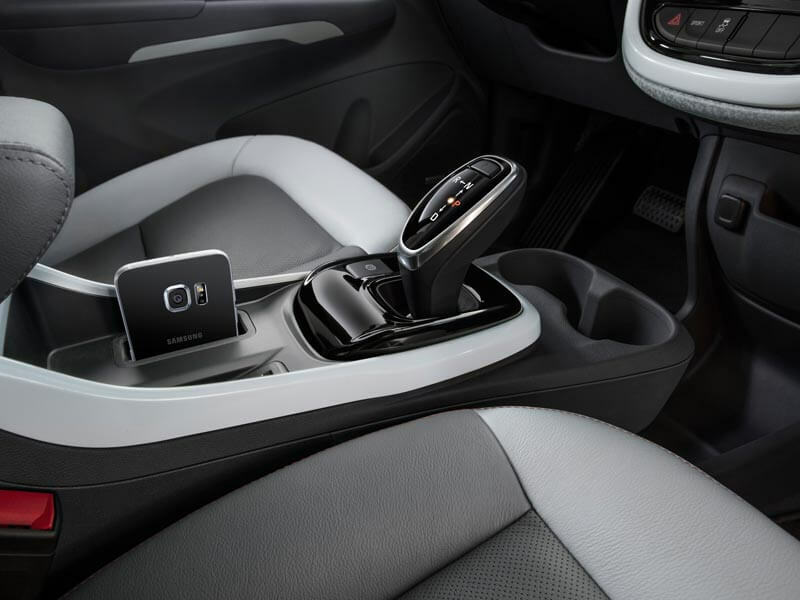 Additionally, the “Floating” instrument panel and multipurpose, connected centre console – offers wireless phone charging and a compartment large enough to stow a tablet device. 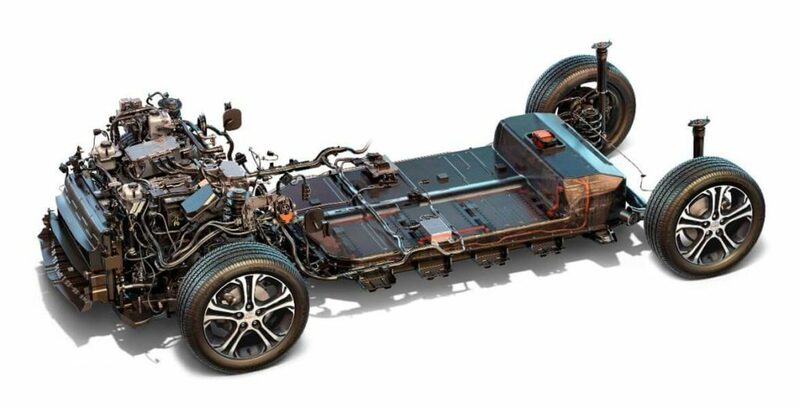 Apart from the extensive use of high-strength steel throughout the Bolt’s body structure, the Bolt EV is fitted standard with no less than ten air bags. A standard rear-view camera which adds both convenience and additional safety. 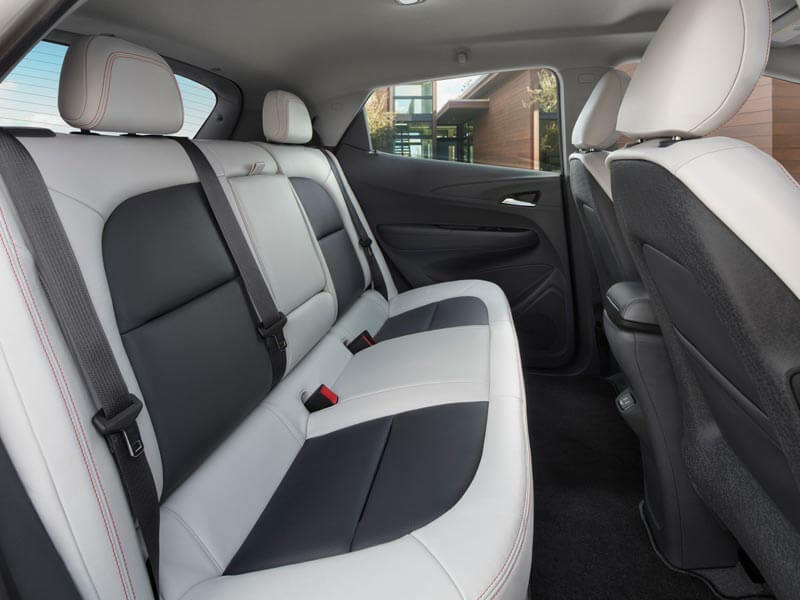 Also available are active safety features including, Side Blind Zone Alert, Rear Cross Traffic Alert, Forward Collision Alert and Forward Pedestrian Alert. ● Rear-facing camera provides a wide-angle view of the environment behind the vehicle. ● Provides a bird’s-eye view of what’s around the Bolt EV for improved safety during low-speed driving and when parking. ● EV-specific navigation capability that designs routes to maximise range and provide locations of nearby charging station locations if needed.